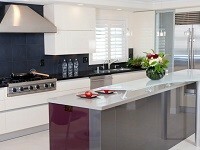 With the rise of the kitchen being the focal point in the homes of many individuals, the variety of shapes and sizes of tiles has risen accordingly. 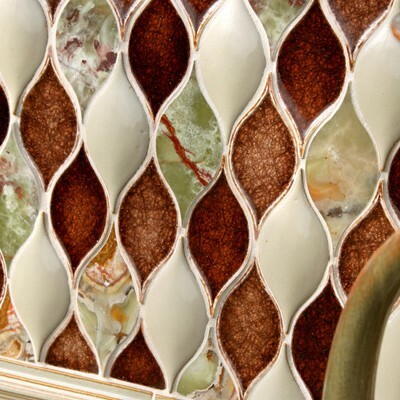 No one shape has amassed such great popularity in its available sizes and textures in our industry as the Arabesque tile has. 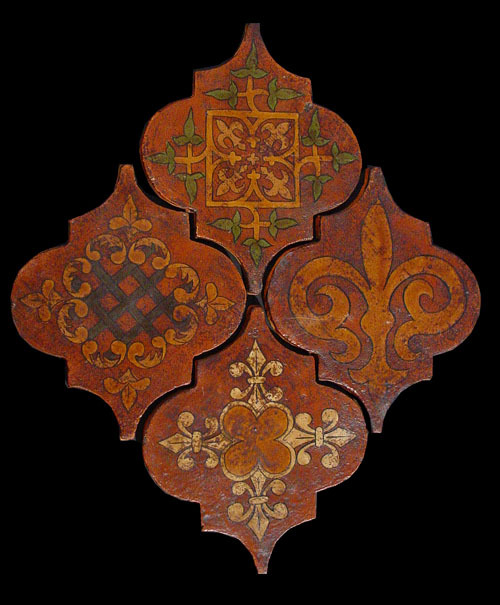 The shape of the Arabesque tile dates back to Byzantine Art and the Roman Empire through the present. 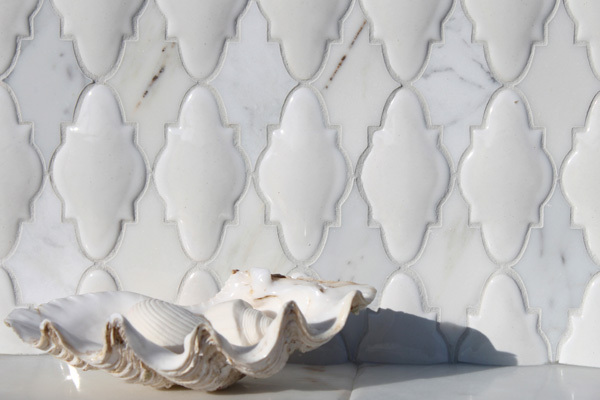 The numerous colors and available styles has made this shape one of our most popular shapes to be used when creating a traditional kitchen backsplash or for a Moroccan feel in a home. 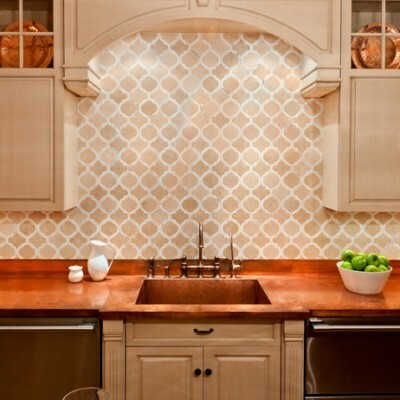 The Beveled Arabesque tile has survived the test of time and has become a staple in traditional homes as their kitchen backsplash. 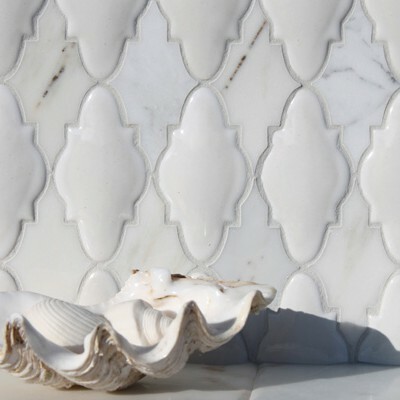 The great advantage of the Beveled Arabesque tile, especially in the White Glossy color is that the clean lines of the Arabesque tile are accentuated with the Beveled edge while creating a very sleek and clean look. 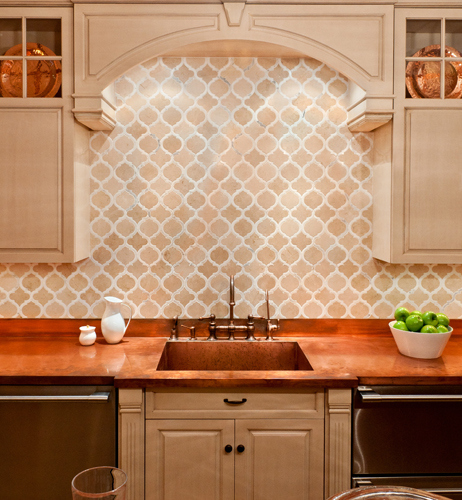 Arabesque tile shapes are found not only as Arabesque Backsplash tile, but also as Arabesque floor tile. 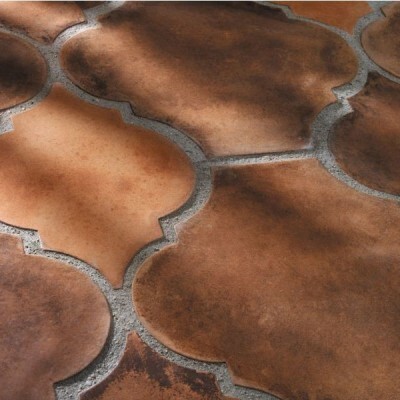 Some of our ceramic vendors such as Ken Mason Tile offer Arabesque tile shapes that are made out of Terra Cotta and are perfectly suitable for floor usage while creating a unique and fun shape for the floor. 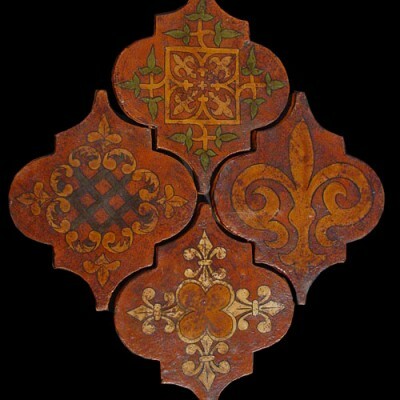 Some of the Arabesque shaped Terra Cotta’s even come with the option of imprinting a decorative image on them as a deco. 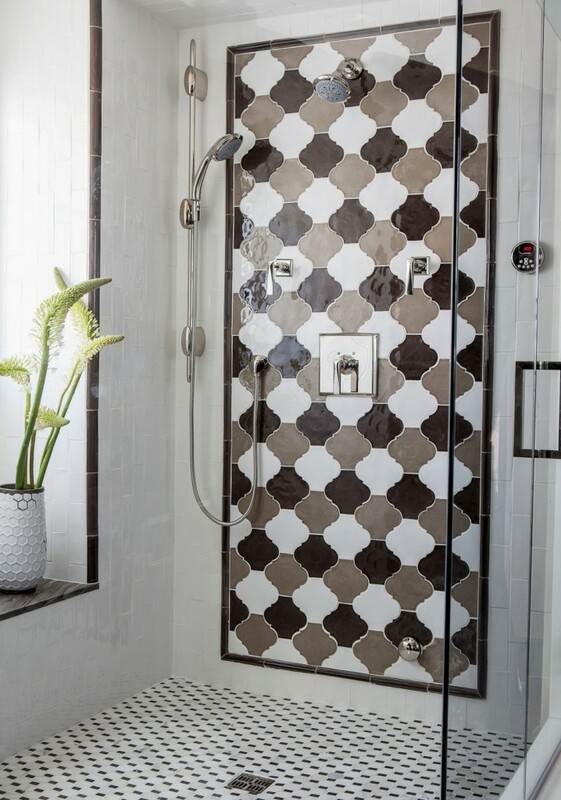 This gives the user the option of creating a stunning backsplash of Deco’s in the Arabesque tile shapes, or as decorative keys throughout a floor. 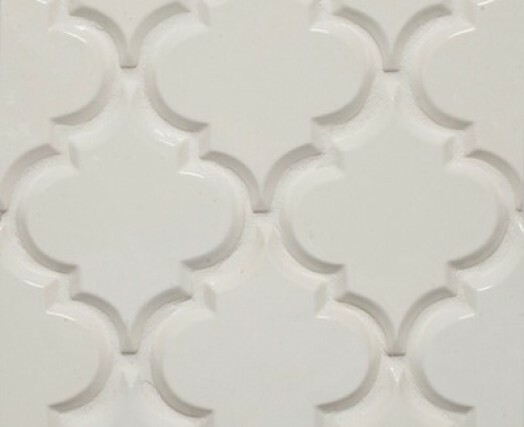 With the rise in popularity of the white Arabesque tile and Arabesque ceramic tile, many manufacturers have decided to implement the Arabesque tile shape in a unique and creative way. 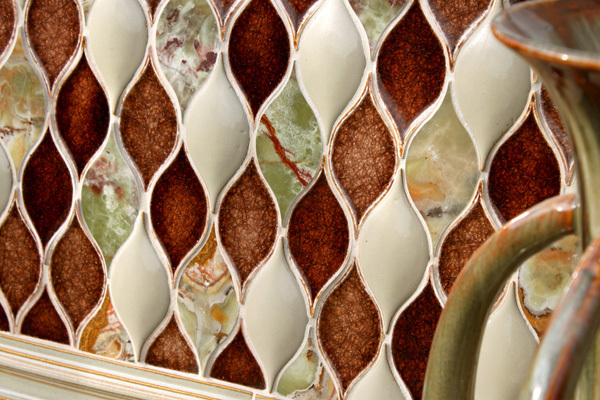 Artistic tile for instance has created several water-jet patterns that implement Glass and Stone or Mother of Pearl and Stone in a variety of Arabesque shapes and patterns. 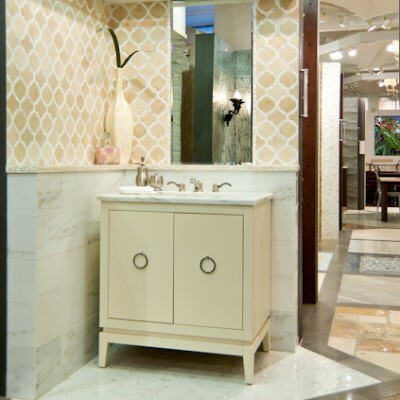 The Toledo Classique from Artistic Tile features Crema Marfil marble along with Calacatta Gold marble with the Crema Marfil as the main Arabesque shaped tile and Calacatta as its accent. 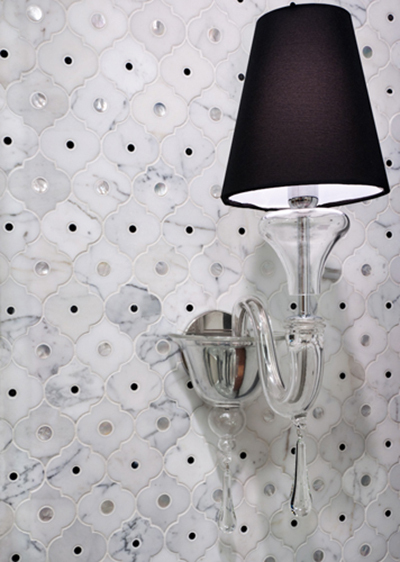 The Veneto Bianco pattern features a slightly modified Arabesque shaped tile that contains Bianco Carrara and Mother of Pearl in beautiful mosaic pattern arrangement. 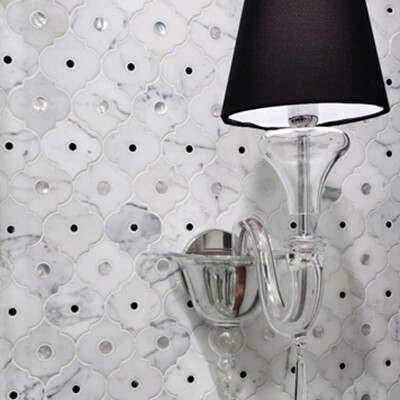 The ability to mix-and-match various materials and implement them in a popular arrangement and shape such as the popular Arabesque tile has allowed the tile industry to remain creative and up-to-date with popular designs. 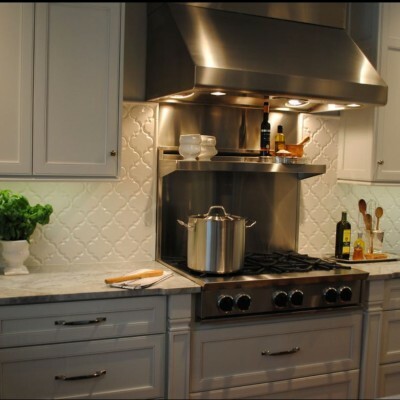 The attractiveness of the beveled Arabesque as a backsplash tile and the overall usage as only a backsplash tile has paved the roads for manufacturers such as Arto Brick to create Arabesque Patterns in their concrete material for floor usage. 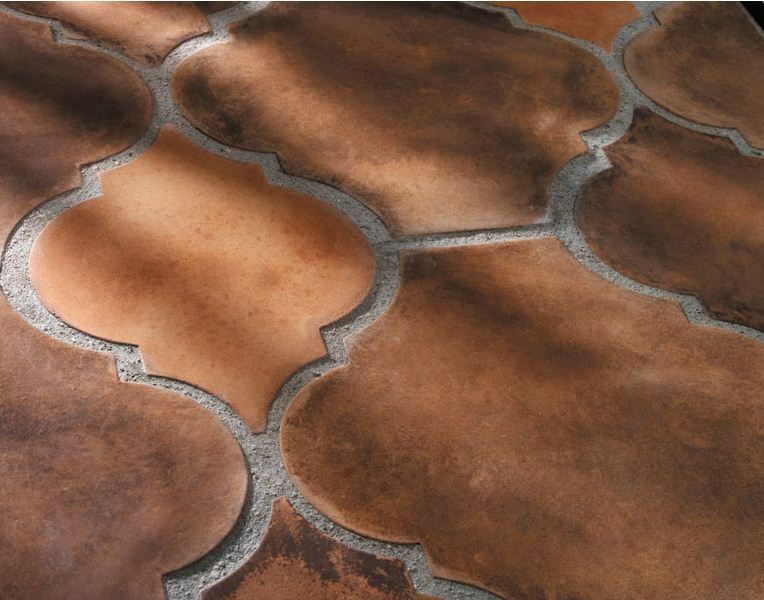 Arto Brick has been revolutionizing concrete tiles for many years and it only makes sense for them to include these popular shapes in their large catalog of products. 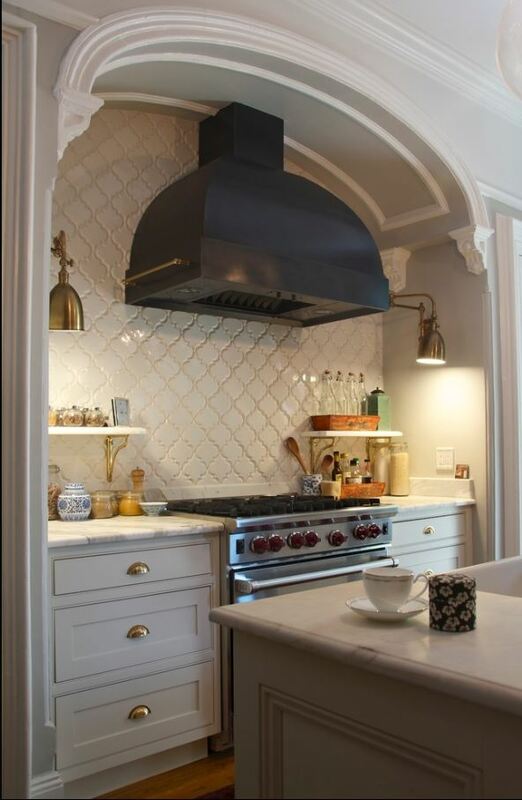 The Arabesque shapes and sizes that Arto Brick creates allow for our customers to create custom sizes and finishes so that their homes are unique and special in their own way. 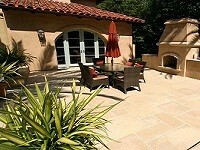 Arto Brick currently offers over ten different size and shape variations of the popular Arabesque shaped tile. 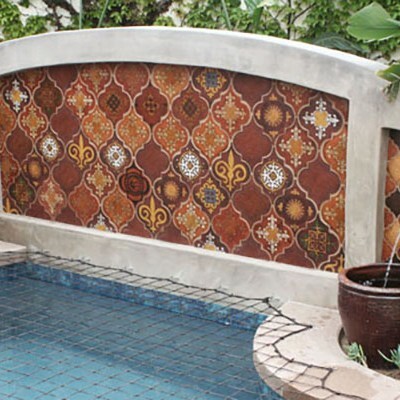 This wide variety is sure to attract anyone who is in the market for a unique and distinguishable pattern for their next home renovation. 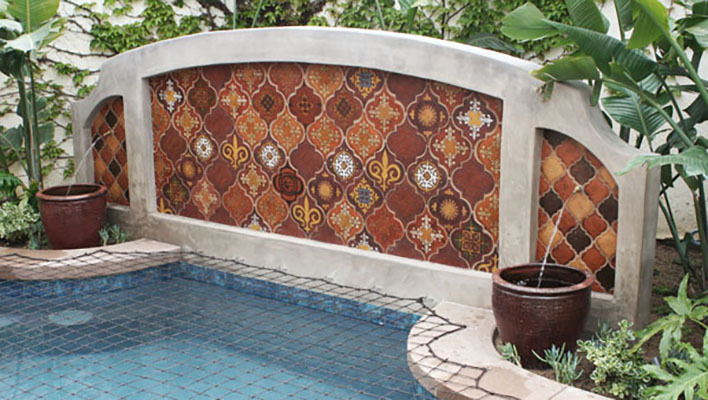 The rise of the Arabesque Tile has allowed manufactures such as Arto Brick, Artistic Tile, and Ken Mason to create stunning tiles that are available for a variety of uses. 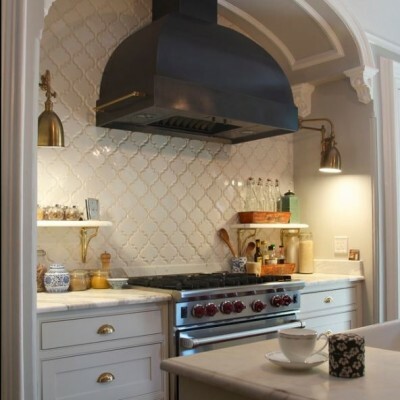 As you will see in the pictures found in this post, Arabesque tile can be used as floors, fountain designs, and traditional backsplash looks. Arto Brick and its products for instance have the ability to be used in not only indoor but outdoor applications as well since their products are Freeze Thaw Rated and can be used for floors and walls. 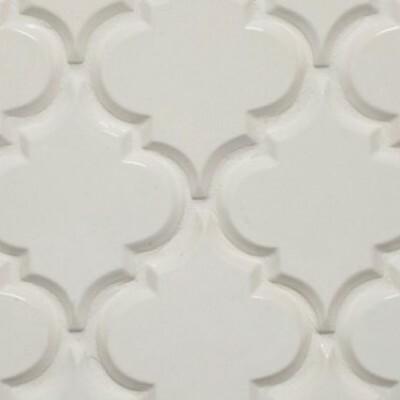 If you are in the market for an Arabesque Shaped tile please make sure to check out our amazing collection of Arabesque shaped tiles that can be used for a variety of applications. 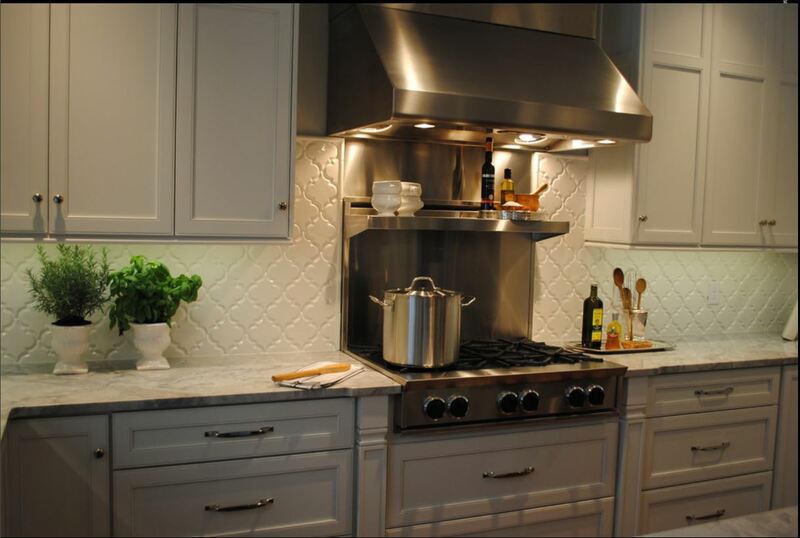 The traditional Arabesque shaped tile is no longer confined for the sole use of a backsplash, the possibilities are no endless. 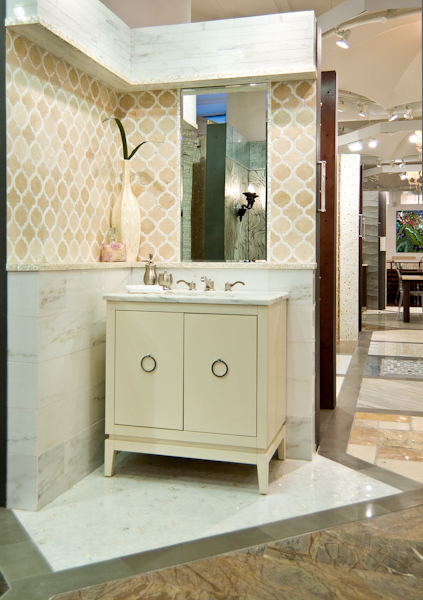 Please make sure to stop by either of our Award Winning Showrooms to have us show you our extensive collection of Arabesque tile shapes and discuss your future application with them.